The first rounds of Federal Hockey League playoffs have been announced. 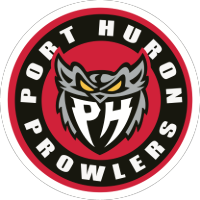 The Port Huron Prowlers finished fourth in the regular season and have been given home ice advantage on Friday, April 12th against the first-place team, the Carolina Thunderbirds. Puck drop will be at 7pm at McMorran Place Arena. The Prowlers will then be in Carolina on Saturday, April 13th at 6:05pm for game two of the series. If needed, game three in the best-of-three series will be played in Carolina on Sunday, April 14th at 4:05pm. Tickets are on sale beginning Friday, April 5th at 10am. Season Ticket holders will have their seats held for first dibs and have until Thursday, April 11th at 9am to purchase their seats before they are released to be sold to the public. For all other ticket information regarding the Federal Hockey League playoffs you can contact the McMorran Box Office at 810-985-6166. Let’s pack the house and cheer on the team over the Carolina Thunderbirds! Don’t miss out! Get your tickets today! !